A Pacific storm will strike the Southland Monday morning, generating rain and snow, creating treacherous conditions in the San Gabriel Mountains and raising fears of mudslides and debris flows over areas stripped bare by the Woolsey Fire in L.A. and Ventura counties, forecasters said. A winter storm warning denoting potentially perilous conditions will be in effect in the San Gabriels from noon Monday until 10 a.m. Tuesday, the National Weather Service said in a statement. Heavy snow is expected, with snow accumulation of 6-12 inches anticipated above 5,000 feet and 1-3 inches between 4,000 and 5,000 feet, according to the NWS. 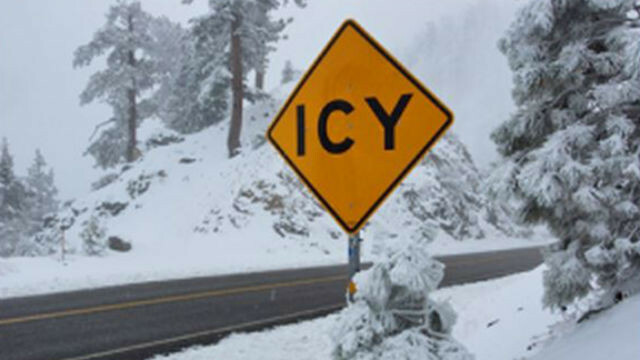 There also could be light slow accumulation down to 3,500 feet, which could affect Interstate 5 through The Grapevine. At the same time,”damaging” winds of 25-35 miles per hour gusting at up to 60 mph will buffet the northwest San Gabriels, including the Interstate 5 corridor, the weather service said. “Plan on difficult travel conditions, including during the evening commute on Monday and the morning commute Tuesday. Be prepared for significant reductions invisibility at times,” according to the NWS statement. A Winter Storm Warning for snow means severe winter weather conditions will make travel very hazardous or impossible. In Orange County — including coastal, inland and mountain areas — a flash flood watch will be in force from Monday afternoon through Monday evening. A wind advisory and a high surf advisory will also be in force Monday in parts of the Southland.